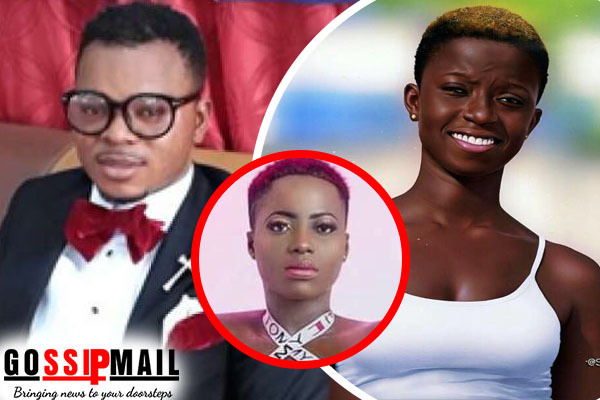 Leader of the International Godsway Church, Bishop Daniel Obinim, has come out to say that he saw Rashida Blck Beauty making the video and made attempts to use his angelic powers to fly to help her, however, just when he was about to fly, his father, Jesus Christ, whatsapped him to tell him that he should let it happen as a lesson to the young girl. The 19-year-old — who rose to fame after dissing her ex-boyfriend last year, Rashida Malafaka Black Beauty seems to have bitten more than she can chew. Social media since Friday morning has been buzzing with the release of her nde video. Rashida Malafaka has explained why her n*de video circulating online was recorded in the first place. According to her, it was something she recorded for her then white boyfriend a long while ago.Rashida who was responding to a fan who criticised her for the release of the nasty video. Not only has Rashida become a subject of mockery among male social media users, she has been insulted with unprintable adjectives some mostly referring to the flies that was seen on her “punani” when she leaked her video. Rashida Malafaka shot to fame last year, the fame that even won her an award after releasing a video verbally abusing her boyfriend for jilting her for another lady. But her latest video had rather resulted with severe insults on the young woman. Whereas many think it is a deliberate move to revive her short lived fame, many consider her act as despicable and condemnable. Others, can’t stop trolling her pus$y with flies.